Ellen is a PhD student at the California Institute of Technology, studying Mars geology through remote sensing. She grew up mostly in Canada (near Toronto), studied geology for her undergraduate degree, and worked for a couple of years in the oil and gas industry before starting her PhD. 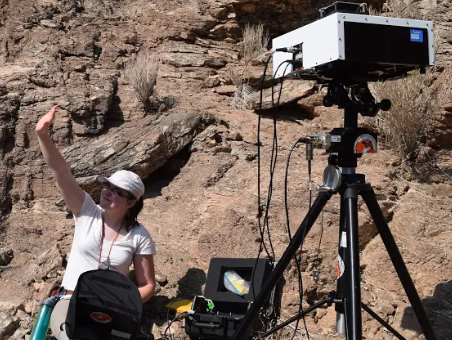 Day to day, she spends most of her time working on a computer, but goes out in the field to study rocks on Earth that are similar to Mars rocks!